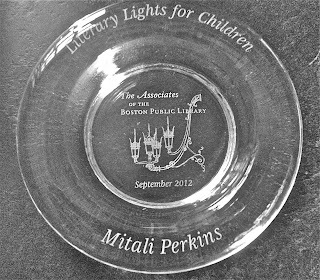 If you're the third person on the planet (the first two are my parents) to keep track of Mitali's Events, you'll remember the recent Literary Lights tea at the Boston Public Library with 400 or so Boston students, courtesy of the Associates of the Boston Public Library. Well, the encouragement from the Associates keeps coming. 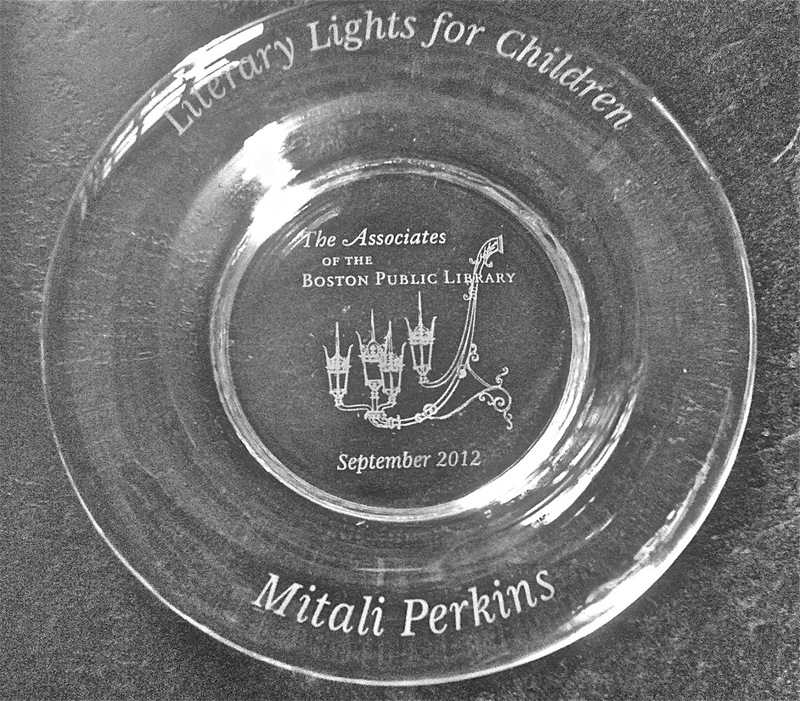 First, there was a beautiful engraved glass bowl. Talk about an unforgettable reminder of my vocational call. Your description of what it was like to grow up in a multicultural household; to have spent your childhood living in many different countries, never being able to put down roots; to have felt you had little in common with your classmates in school; to have felt alienated, even after realizing that you were smart ... All of what you said clearly resonated with those members of our audience who grapple daily with the felling that they are outsiders, that the hopes and ambitions of others are beyond their grasp, that regardless of their gifts, their striving will come to naught. The package contained a gorgeous book, obviously chosen for me by someone who took the time to learn what I value. 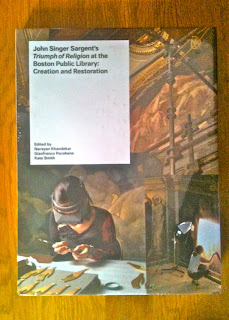 edited by Narayan Khandekar, Gianfranco Pocobene, and Kate Smith. Thank you so much, Associates, for the outpouring of encouragement.